An Invisalign orthodontist in Union NJ is a dentist who has gone above and beyond standard requirements to achieve additional education and experience, focusing specifically on Invisalign treatment. 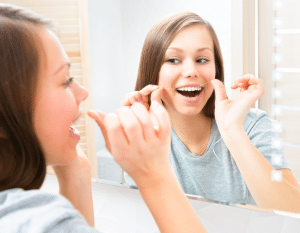 At Milestone Orthodontics, our team specializes in Invisalign and Invisalign Teen treatment. Dr. Milestone is a leading Invisalign orthodontist in Union NJ and surrounding areas of Essex County NJ. The Invisalign system is the virtually invisible way to receive straighter teeth and a healthier smile. Invisalign uses advanced 3D digital imaging technology, which depicts your complete treatment plan, from start to finish before your first set of aligners is even created. In the next step, a series of clear aligners are custom-made to move your teeth little by little. Each set of aligners is worn for about two weeks before they are replaced by the following set in the series. This system is repeated until the final position of your teeth is achieved. The duration of treatment is different for each patient. Treatment times are determined by personal factors including the severity of issues to be treated, the number of aligners prescribed, and location. Invisalign is prescribed to be worn 20-22 hours a day. However, if they are not worn as frequently as prescribed, it can result in extended durations of treatments and additional visits to a Union NJ orthodontist. Yes! Invisalign is designed with the patient’s needs in mind. Clear aligners are virtually invisible and removable to comfortably accommodate any lifestyle during orthodontic treatment. Invisalign remains undetectable so treatment will never affect your professional or social life. In addition, Invisalign is also removable, which allows you to continue eating all of your favorite foods, which is impossible with traditional braces. No, we also offer Invisalign Teen, which has all the great features of adult Invisalign. Invisalign Teen will never come in between extracurricular activities such as prom, senior pictures, band practice, or sports. Unlike Invisalign for adults, Invisalign Teen has a discreet blue dot on the aligners that lets parents or an orthodontist know if they are being worn as prescribed. Dr. Milestone and our team at Milestone Orthodontics are professionals in orthodontic care. We are here to answer any questions you may have involving Invisalign or Invisalign Teen in Union NJ, West Orange NJ, Verona NJ, Nutley NJ, Caldwell NJ, Montclair NJ, and surrounding areas of Essex County NJ. Contact Milestone Orthodontics to schedule a complimentary consultation today. Call now! (973) 325-1777.